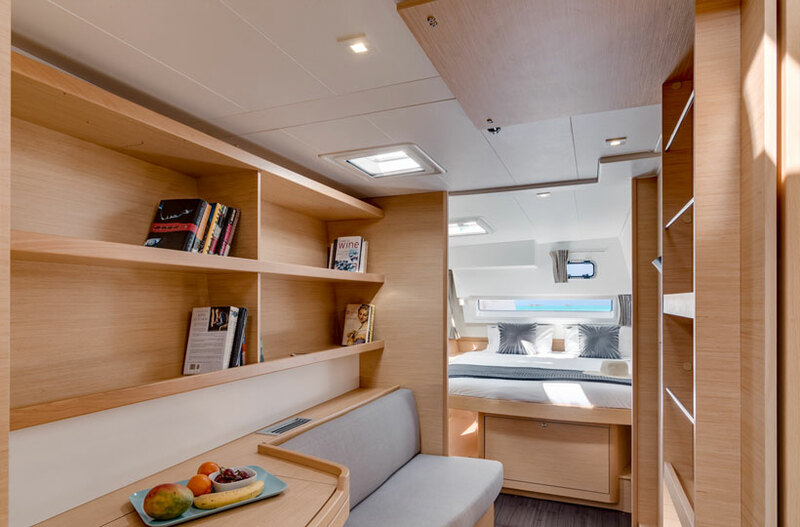 Windsong is the owners version and features three cabins. 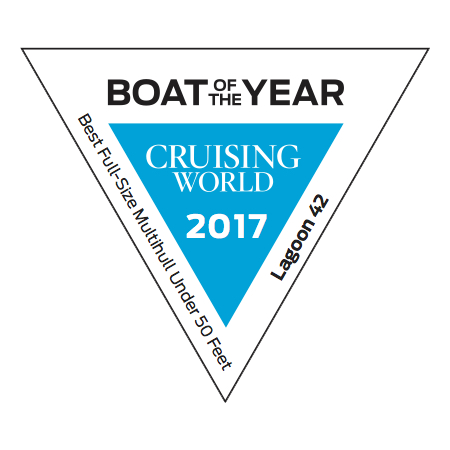 There is also an additional single berth forward. 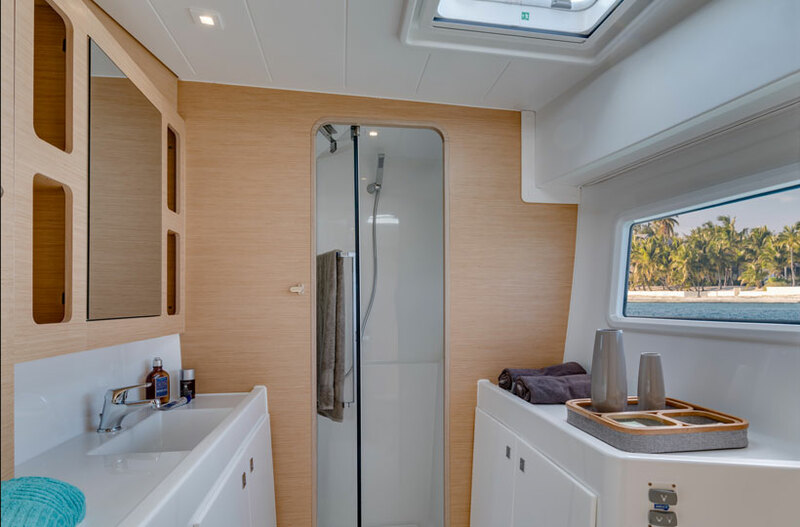 Each of the three ensuite bathrooms have electric heads. There is also onboard air conditioning provided by a generator. 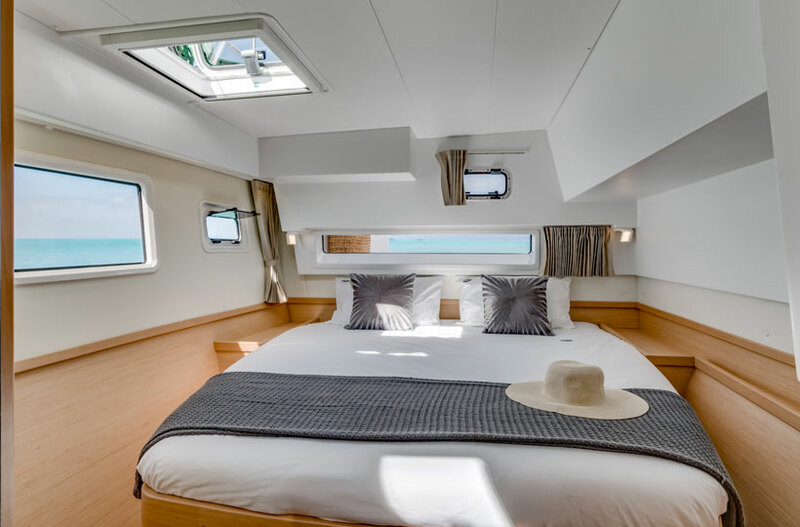 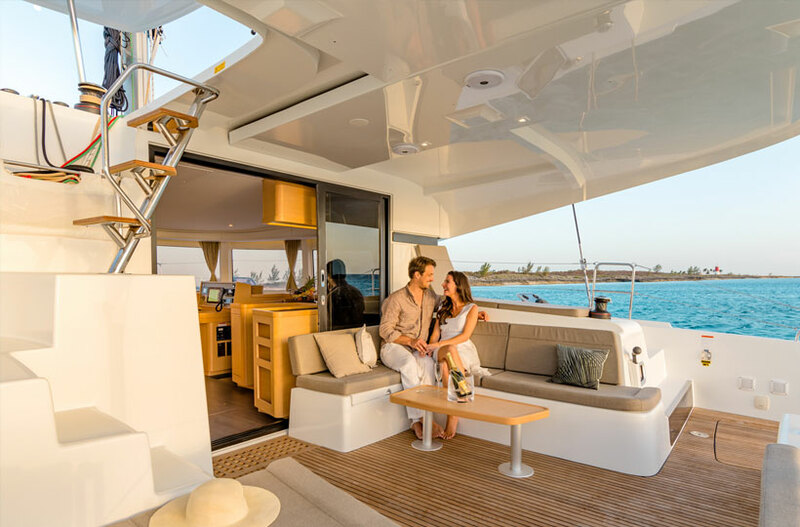 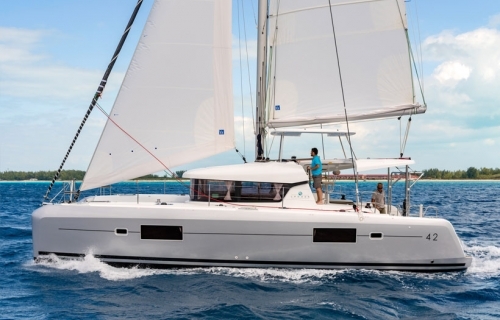 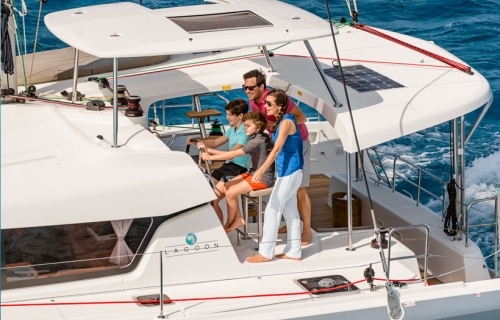 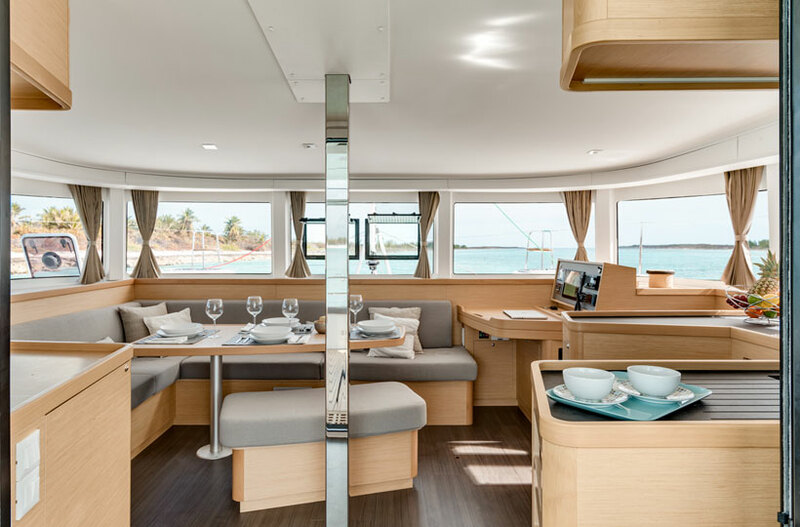 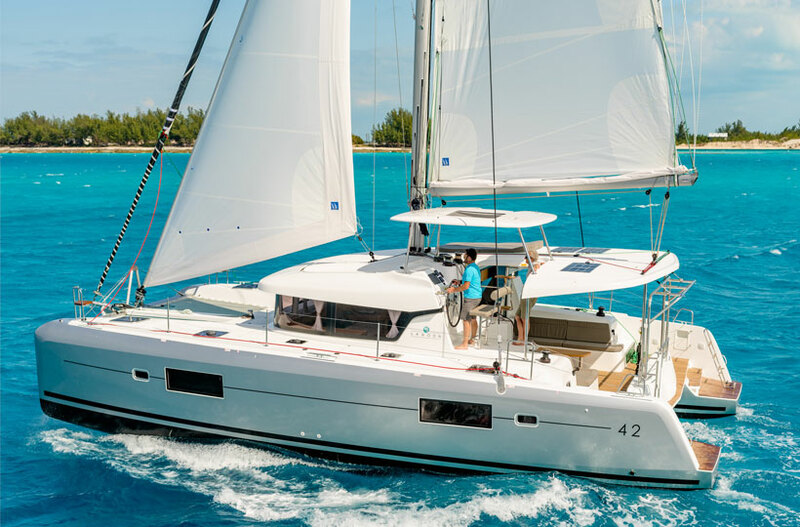 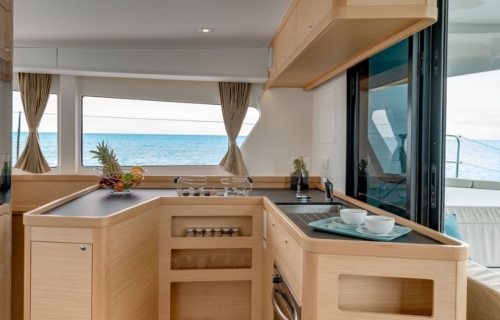 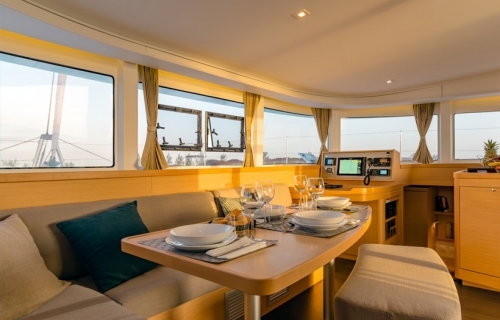 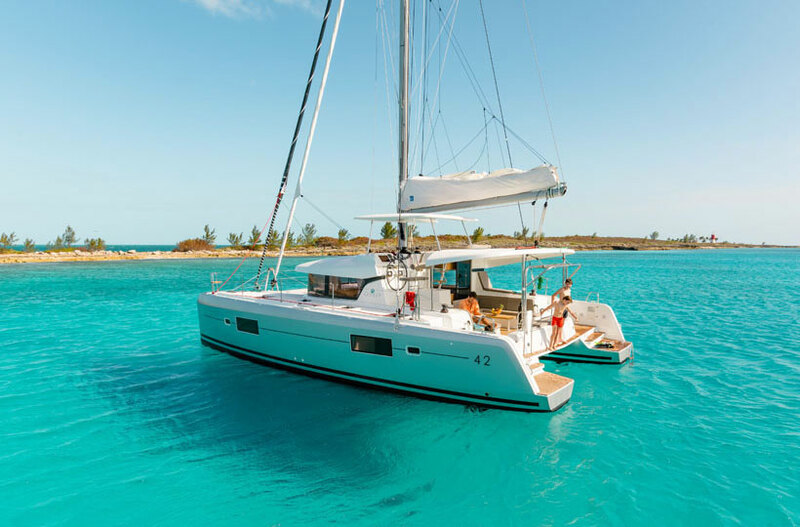 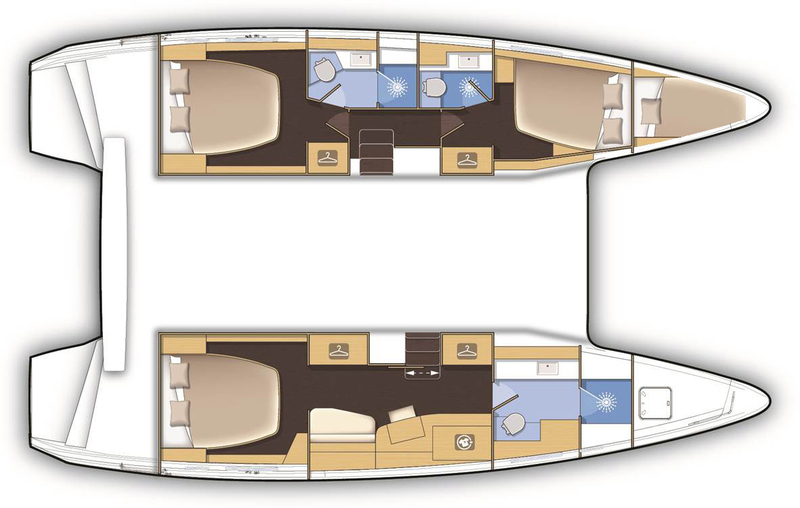 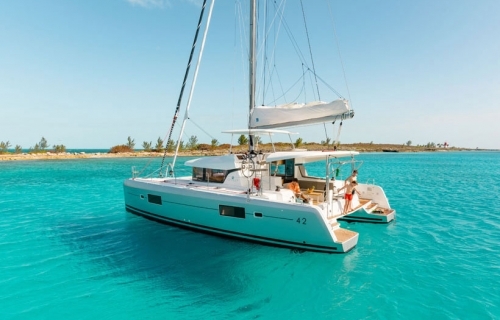 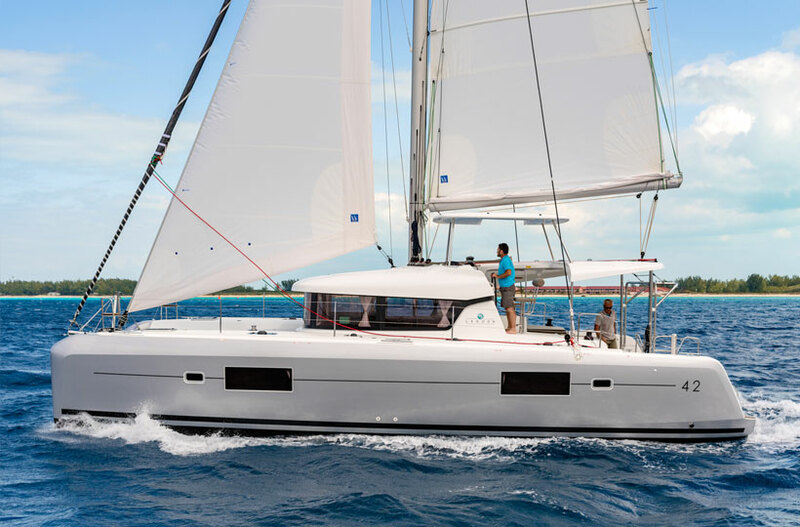 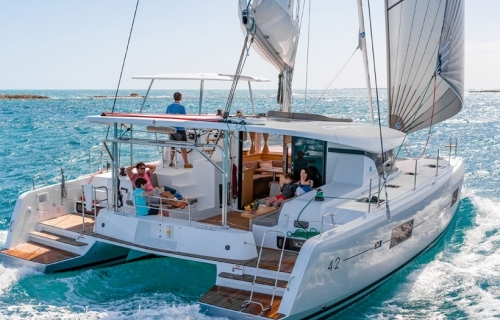 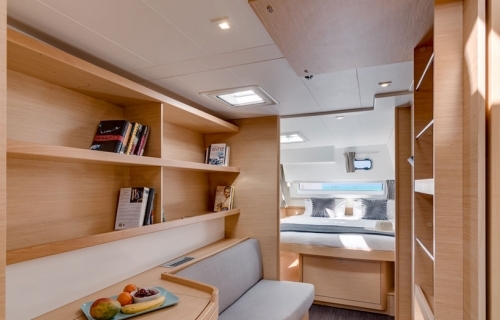 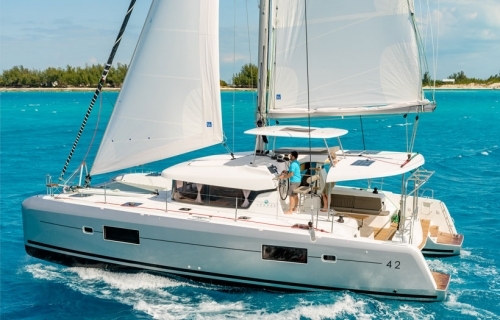 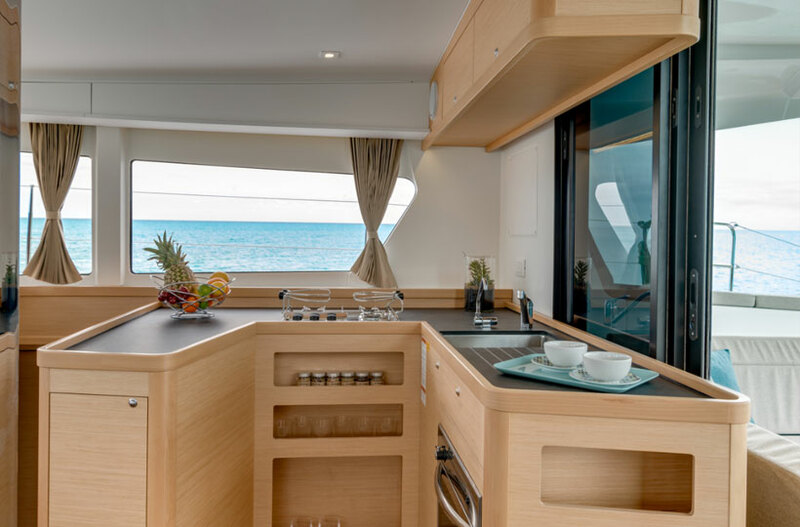 There is a great flybridge helm position with a fixed bimini, plus a good size cockpit so lots of outdoor space. 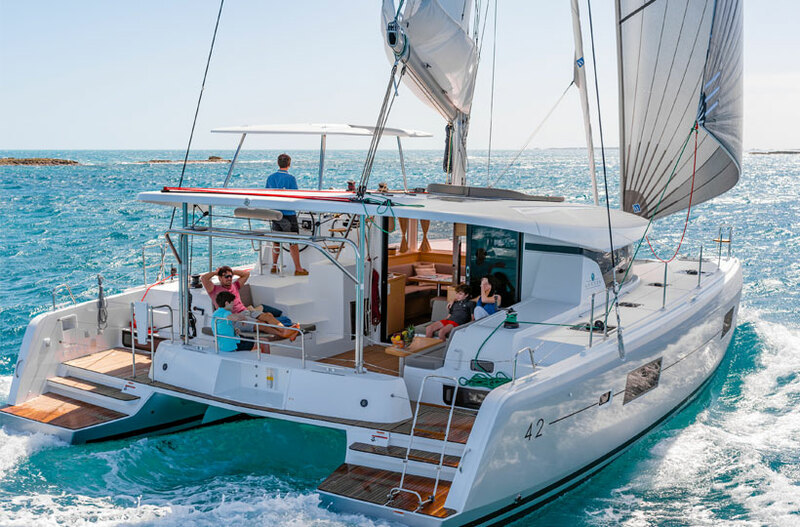 Inverter/Charger, Generator, Air Conditioning, Davits, Jib Traveller, All Electric Winch at Helm, Helm Enclosure, Refrigerator and Freezer in Galley, Additional Refrigerator in Cockpit, Microwave, Bluetooth Stereo Connection, Solar Panels.